We provide industrial painting, boiler , pipe painting, epoxy painting , waterproofing services. 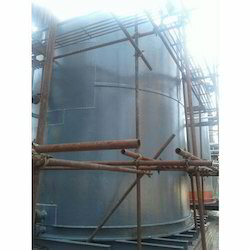 Our firm has made unbelievable breakthrough in the providing Storage Tank Painting Service. Attributed for its flexibility and reliability, these services are broadly demanded. More to this, we deliver these to our clients after understanding their budgetary requisites. Clients can acquire these services at most affordable rates. To retain our reputation, we have established in this immensely modest marketplace, we are willingly immersed in rendering Tank Painting Service. We are backed with a team of skillful personnel who render these services in most proficient way within the postulated time frame. As well, these services are largely valued amid our patrons’ for their reliability and flexibility. With affluent industrial knowledge and experience, we are presenting a qualitative Tank Painting Service. Highly trained personnel interact with the customers and as per their detailed necessities, plan and impart these services. As well, these services are very efficient, reliable and are in complete accordance with the industry laid principles. 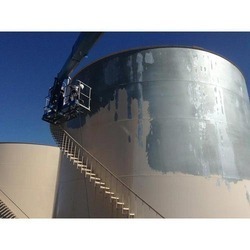 With the help of our diligent professionals, we provide an extensive range of Painting Services For Storage Tanks that are provided with innovative technology. we are doing all type of Fuel Tank Painting Services with high priority safety ethics. Supported by highly accomplished crew of employees, we are rendering Industrial Tank Painting Service. These provided services are delivered under the stern supervision of adroit personnel as per set industry principles. In addition to this, these provided services are attributed amid our client for reliability and cost effectiveness.